Small and mid-size companies can now benefit from the same best-in-class science and technology that large enterprises use to make informed employment decisions. Not all assessments are the same. Just because an assessment can tell you about someone's traits or capabilities does not mean that it is useful for identifying actual job fit and their potential to be a great employee. 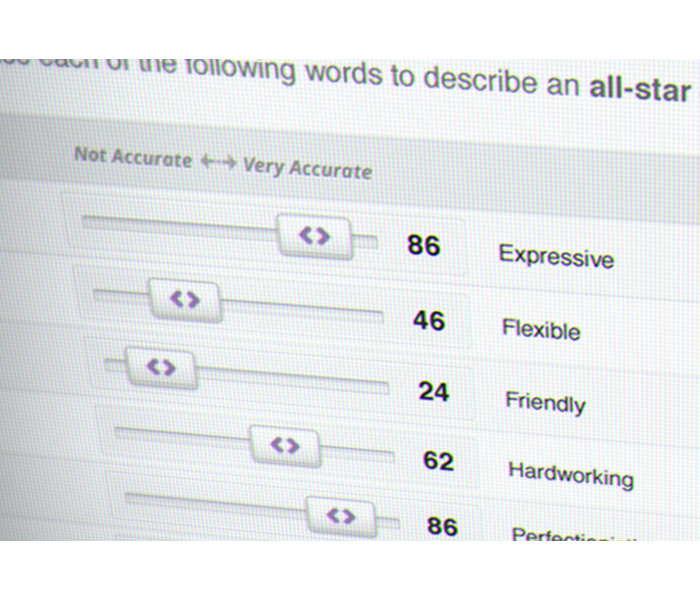 Rigorous science is a defining feature of our game-changing employee assessment. Our OnDemand assessment system provides a validated, off-the-shelf assessment that examines candidates based on an innovative and industry leading methodology we call Triangulation™ Science. 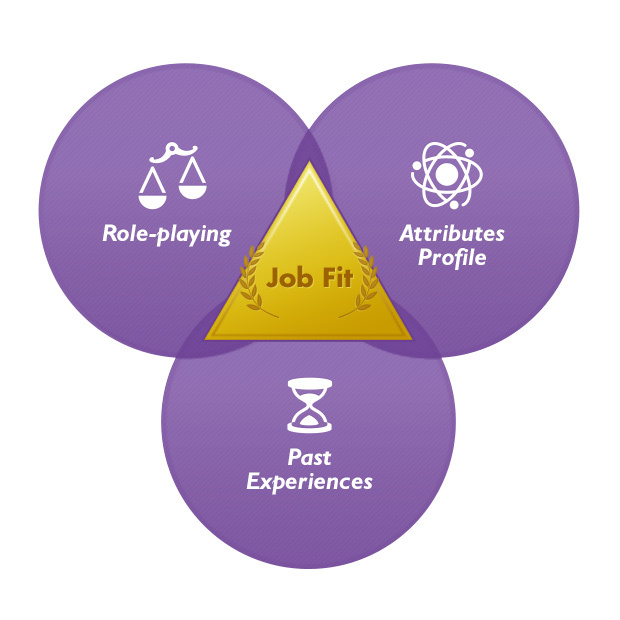 This methodology cross validates competencies from three valid and predictive testing protocols—past experiences, personality, and a role-playing activity which presents candidates with workplace scenarios—to zero in quickly and reliably on a candidate's job fit and aptitude to perform. Our predictions are accurate because our approach is based on decades of validated science, not recent computational fads or hard-to-interpret "black boxes." . Assess with confidence! Make informed decisions. Hire higher performers. Get the most out of your talent. During the assessment, candidates are presented with an engaging role-playing activity that immerses them within a job scenario that closely reflects your own job setting. Simply select the visual job environment that most closely matches your industry, category and position type from our existing digital library. Our OnDemand system will automatically configure your assessment to include an interactive role-playing activity. As part of the assessment the candidate will experience visually engaging workplace scenarios. These high-fidelity scenarios offer several advantages to the employer. First, they present the candidate with a visual idea of what it is like working at your business—something a typical job description cannot do. Second, researchers have demonstrated that asking questions within a relatable job context improves the relevance and accuracy of candidate's responses. Presenting visual scenarios improves your ability to understand how potential candidates will behave when working for you. Logi-Serve combines several different testing protocols during the assessment, and utilizies advanced response gathering technologies such as slider bars, These features keep candidates focused and engaged, eliminating user fatigue that leads to response rut and other data integrity problems. Users overwhelmingly describe the experience as enjoyable,easy and even fun! The Logi-Serve assessment is typically completed in 20 minutes, and has over a 90% completion rate! 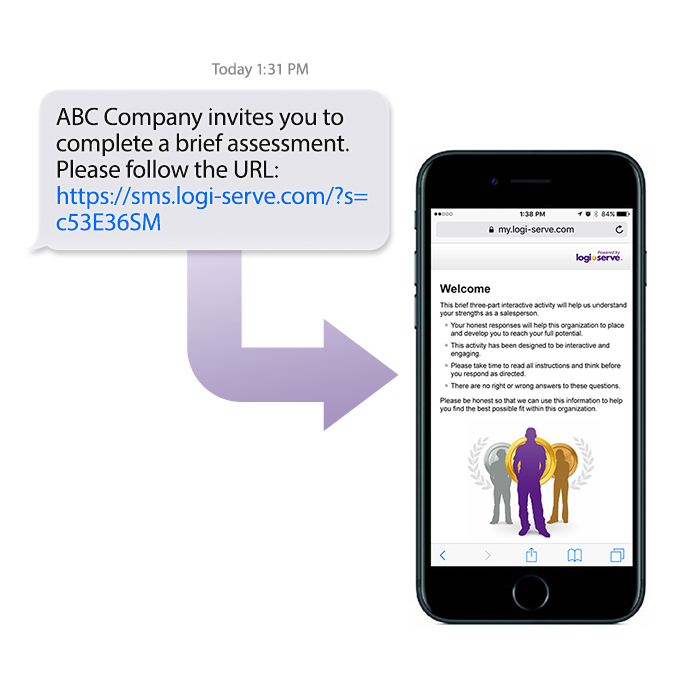 Logi-Serve assessments adapt to the devices being used, without a need for any downloads or software installations, providing candidates with a high-fidelity, interactive assessment experience no matter how they access it. As an administrator, you can even purchase your system, access your dashboard and administer assessments all from your mobile device! Get started with Logi-Serve OnDemand. Discover what Logi-Serve can do for your business. Increase productivity, reduce costly employee turnover and build a lasting culture of efficient perfomance. Build your own assessment in just a few simple steps.